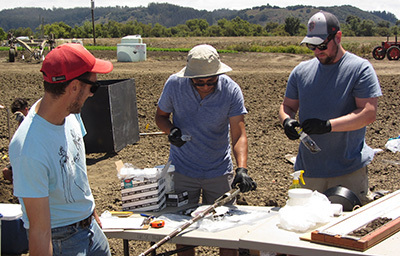 UC Santa Cruz researchers collect samples at a field site for research on microbial activity that can improve water quality. From left: Galen Gorski, Jaime Hernandez, Brendon Stoneburner. 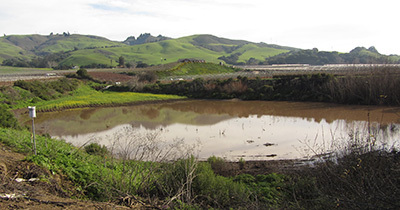 "The program helps to offset costs for landowners if they place successful infiltration and recharge projects on their properties. 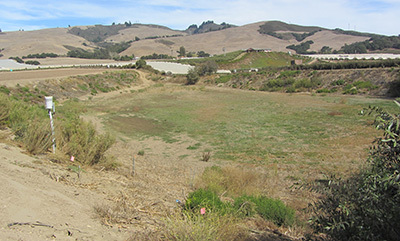 With this new grant, we can focus on development and application of practices that can help to achieve simultaneous improvements to water supply and quality," said Fisher, who has been studying groundwater issues in the Pajaro Valley for nearly 20 years.